Learn the latest data science concepts, tools and techniques from the best. Forge a connection with these rockstars from industry and academic, who are passionate about molding the next generation of data scientists. Our instructors are highly regarded in data science, coming from both academia and notable companies. Gain the skills and knowledge to use data science in your career and business, without breaking the bank. Find training sessions offered on a wide variety of data science topics from machine learning to data visualization. Form a working relationship with some of the world’s top data scientists for follow up questions and advice. Additionally, your ticket includes access to 50+ talks and workshops. High quality recordings of each session, exclusively available to premium training attendees. Equivalent training at other conferences costs much more. Professionally prepared learning materials, custom tailored to each course. Opportunities to connect with other ambitious like-minded data scientists. Bring your laptops and get started with TensorFlow! In this workshop, you will get an introduction using TensorFlow. We will go through the basics, and by the time we are finished, you will know how to build models on your own. No previous experience of machine learning is needed. Prerequisites: Either install TensorFlow on your own computer. Alternatively, we will also provide Google Cloud instances of TensorFlow that you can use (no installation required). If you have a Google Cloud account, we can also share a TensorFlow cloud image that you can use. 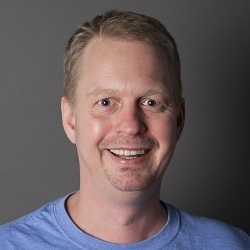 Magnus Hyttsten is a Senior Staff Developer Advocate for TensorFlow at Google. He focuses on all things TensorFlow – from making sure that the developer community is happy to help developing the product. Magnus has been speaking at many major events including Google I/O, AnDevCon, Machine Learning meetups, etc. Right now, he is fanatically & joyfully focusing on TensorFlow for Mobile as well as creating Reinforcement Learning models. In this workshop I will show you, hands-on, how to work with big data using R and Apache Spark. I’ll use sparklyr, developed by RStudio in conjunction with IBM, Cloudera, and H2O, as my main tool. Sparklyr provides an R interface to Spark’s distributed machine-learning algorithms and much more. It makes practical machine learning scalable and easy. With sparklyr, you can interactively manipulate Spark data using both dplyr and SQL (via DBI); filter and aggregate Spark datasets then bring them into R for analysis and visualization; orchestrate distributed machine learning from R using either Spark MLlib or H2O SparkingWater; create extensions that call the full Spark API and provide interfaces to Spark packages; and establish Spark connections and browse Spark data frames within the RStudio IDE. 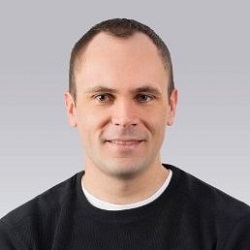 Dr. John Mount is a principal consultant at Win-Vector LLC a San Francisco data science consultancy. John has worked as a computational scientist in biotechnology and a stock-trading algorithm designer and has managed a research team for Shopping.com (now an eBay company). 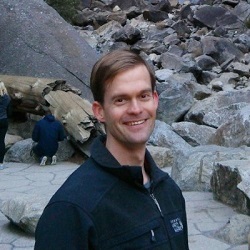 John is the coauthor of Practical Data Science with R (Manning Publications, 2014). John started his advanced education in mathematics at UC Berkeley and holds a Ph.D. in computer science from Carnegie Mellon. Modern statistics has become almost synonymous with machine learning, a collection of techniques that utilize today’s incredible computing power. This two-part course focuses on the available methods for implementing machine learning algorithms in R, and will examine some of the underlying theory behind the curtain. We start with the foundation of it all, the linear model and its generalization, the glm. We look how to assess model quality with traditional measures and cross-validation and visualize models with coefficient plots. Next we turn to penalized regression with the Elastic Net. After that we turn to Boosted Decision Trees utilizing xgboost. Attendees should have a good understanding of linear models and classification and should have R and RStudio installed, along with the `glmnet`, `xgboost`, `boot`, `ggplot2`, `UsingR` and `coefplot` packages. to provide researchers and practitioners with well-tested, fundamental building blocks for rapidly constructing sophisticated image processing pipelines. and let participants try their hand at various educational image processing challenges. Attendees are expected to have a working knowledge of NumPy, SciPy, and Matplotlib. 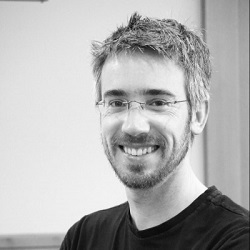 Stéfan van der Walt is a researcher at the Berkeley Institute for Data Science, UC Berkeley. 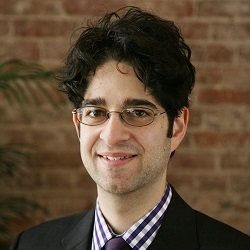 He has been a part of the scientific Python developer community since 2006, and is the founder of scikit-image. Cython is an elegant middle group between the ease-of-use of Python and the numeric efficiency of C. In this tutorial, we will cover the various elements of cython from a practical perspective. We will start off by converting common mathematical functions from python to cython and timing them at each step to identify what elements of cython provide the best speed gains. After cythonizing some examples, we will discuss what the difference between multithreaded and multiprocessing is, what the global interpreter lock (GIL) is, and how we can use cython to release the GIL and enable more efficient parallel processing. We will end by coding the commonly used k-means algorithm in cython in a manner that utilizes multithreaded for parallel speed gains. Participants should be familiar with C to the extent of understanding what static typing is, and familiar with Python enough to have previously used the numpy package. A working C++ compiler is required for this tutorial, which comes natively with both Linux and Mac machines, but must be downloaded for a Windows machine. Please have the compiler working ahead of time, as it can take time to get installed. 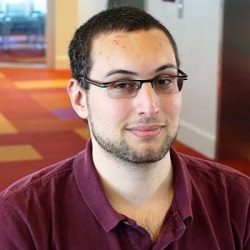 Jacob is a fourth year graduate student and IGERT big data fellow currently pursuing a Ph.D. in computer science at the University of Washington. His research involves connecting the three dimensional structure of the genome with a variety of cellular phenomena. Recently, Jacob’s work has involved predicting the three dimensional structure of the genome at high resolution given simple, cheap, data sources, and investigating a deep tensor factorization approach to impute missing epigenetics experiments for the human genome. 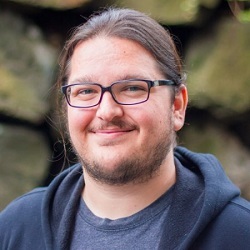 As a separate track of research, he has also recently worked on techniques for merging expert knowledge with data to efficiently learn the structure of Bayesian networks, sometimes even making the problem tractable for large problems. When not doing research, Jacob actively contributes to the open source community. 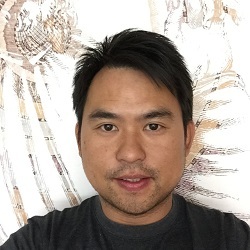 He is a core developer of the popular scikit-learn machine learning package for python, where he focuses on maintaining the tree based models/ensembles and probabilistic models. Jacob also written pomegranate, a python package that extends scikit-learn to flexible probabilistic modeling and some probabilistic graphical models with a focus on scalability through parallelized and out-of-core learning. Interested in data science but not sure where to start? In this workshop, we’ll do a sprint through the basics of data science, from formulating a question as a data science problem to evaluating and improving your answer. The workshop will be a blend of short lectures on data science topics that tie together to build an end-to-end machine learning workflow, interspersed with code snippets in python that get your hands on the keyboard. If you’re a data science beginner, or want to practice starting a data science workflow from scratch, this is a great workshop for you. 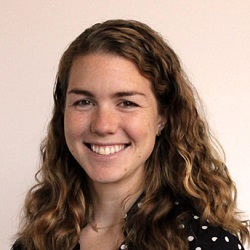 Katie Malone is Director of Data Science at Civis Analytics, a data science software and services company. 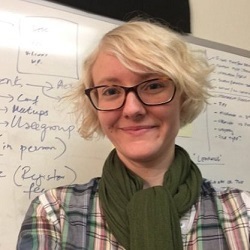 At Civis she leads the Data Science Research and Development department, which tackles some of Civis’ most novel and challenging data science consulting engagements as well as writing the core data science code that powers the Civis Data Science Platform. 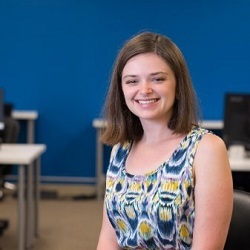 A physicist by training, Katie spent her PhD searching for the Higgs boson at CERN and is also the instructor for Udacity’s Introduction to Machine Learning course. As a side project she hosts a weekly podcast about data science and machine learning, Linear Digressions. This workshop introduces users to the ins and outs of using Python for data science. From data cleaning to model building and visualizations, we’ll take a closer look at how Python can be leveraged to build effective data science workflows. We will go through a series of short examples together, and attendees will have their hands on the keyboard to try out some code using Jupyter Notebooks. We will use the Python standard library and pandas to effectively clean data. We’ll learn our way around numpy, scipy, and scikit-learn to answer questions with data. Finally, we’ll look at using libraries like matplotlib and seaborn to visualize different aspects of problems. Some basic familiarity with Python and Jupyter Notebooks will be helpful but no experience beyond that is required. Skipper is a Director of Data Science at Civis Analytics, a data science technology and advisory firm. He leads a team of data scientists from all walks of life from physicists and engineers to statisticians and computer scientists. He is an economist by training, and has a decade of experience working in the Python data community. 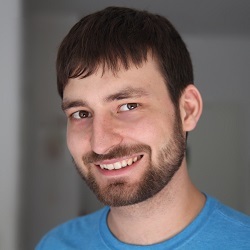 He started and led the statsmodels Python project, was formerly on the core pandas team, and has contributed to many projects in Python data stack. This tutorial introduces Gluon, a flexible new interface that pairs MXNet’s speed with a user-friendly frontend. In the past, deep learning practitioners had to choose between ease of use and speed when choosing frameworks. On one side, there were symbolic frameworks like Theano and TensorFlow. These offer speed and memory efficiency but are harder to program, can be a pain to debug, and don’t allow for many native language features, like basic control flow. On the other side, there are imperative frameworks like Chainer and PyTorch. They’re a joy to program and easy to debug, but they can seldom compete with the symbolic code when it comes to speed. Gluon reconciles the two, removing a crucial pain point. Gluon can run as a fully imperative framework. In this mode, you enjoy native language features, painless debugging, and rapid prototyping. You can also effortlessly deploy arbitrarily complex models with dynamic graphs. And if you want the story to end there, it can. But when you need real performance, Gluon can also provide the blazing speed of MXNet’s symbolic API by calling down to Gluon’s just-in-time compiler. We’ll cover everything from the basic constructs of Gluon to advanced models. We’ll walk you through MXNet’s NDArray data structure and automatic differentiation. Well show you how to define neural networks at the atomic level, and through Gluon’s predefined layers. We’ll demonstrate how to serialize models and build dynamic graphs. Then, we’ll you how to hybridize your networks, simultaneously enjoying the benefits of imperative and symbolic deep learning. Finally, we’ll teach you how Gluon works under the hood and show you how to hack your own layers. 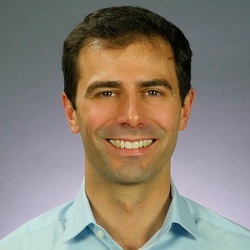 Zachary Lipton is a mad scientist at Amazon AI and assistant professor at Carnegie Mellon University (2018-). He researches ML methods, applications (especially to healthcare), and social impacts. 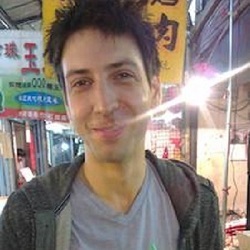 In addition to corralling deep neural neurons and starting fires on Twitter (@zacharylipton), he is the editor of the Approximately Correct blog and lead author of Deep Learning – The Straight Dope, an interactive book teaching deep learning and MXNet Gluon through Jupyter notebooks. Most machine learning algorithms today are not time-aware and are not easily applied to time series and forecasting problems. Leveraging advanced algorithms like XGBoost, or even linear models, typically requires substantial data preparation and feature engineering – for example, creating lagged features, detrending the target, and detecting periodicity. The preprocessing required becomes more difficult in the common case where the problem requires predicting a window of multiple future time points. As a result, most practitioners fall back on classical methods, such as ARIMA or trend analysis, which are time-aware but less expressive. This session covers the best practices for solving this challenge, by introducing a general framework for developing time series models, generating features and preprocessing the data, and exploring the potential to automate this process in order to apply advanced machine learning algorithms to almost any time series problem. a single algorithm to building a machine learning pipeline. We will also cover how to build machine learning models on text data, and how to handle very large datasets. After a brief introduction to core TensorFlow concepts, we’ll focus on the newly open-sourced TensorFlow Lattice tools, that make your machine-learned models more interpretable, without sacrificing accuracy. TF Lattice enables you to impose prior information about monotonic global trends into your models, such as that closer coffee shops are better (if all else is the same). Such global trends may be missed by flexible models like RF’s and DNN’s when trained on noisy data, and may only become problems when you run your model on examples that are different than your training data (data shift). By learning your preferred global trends, TF Lattice produces models that generalize better, and that you can explain and debug more easily, because you know what the model is doing. We’ll show you how to use TF Lattice’s pre-built TF Estimators, and how to use the underlying TF operators to build your own deeper lattice network models or plug-n-play with other TF models. Suitable for TF newbies and advanced TF users. Maya Gupta leads Google’s Glassbox Machine Learning R and D team, which focuses on designing and developing controllable and interpretative machine learning algorithms that solve Google product needs. Prior to Google, Gupta was an Associate Professor of Electrical Engineering at the University of Washington from 2003-2013. Her PhD is from Stanford, and she holds a BS EE and BA Econ from Rice. Gupta founded and runs the wooden jigsaw puzzle company, Artifact Puzzles. Attendees will learn the foundations of text mining approaches in addition to learn basic text mining scripting functions used in R. The audience will learn what text mining is, then perform primary text mining such as keyword scanning, dendogram and word cloud creation. Later participants will be able to do more sophisticated analysis including polarity, topic modeling and named entity recognition. Ted works with the innovation group at Liberty Mutual Insurance, working on the overall vision and strategy for next generation vehicles including self driving cars. He leverages his data science expertise and creativity to cultivate internal thought leadership and external partnerships with startups related to vehicles. In this session, you will learn how to create your own Assistant Apps that work with the Google Assistant. Using Dialogflow, you will see how easy it is to create a conversation with a user, leveraging Google’s cutting-edge machine learning, by simply programming some example sentences and replies. Using a simple web hook written using node.js, you can interface your Assistant App with your own server backend. This is a great session for any developer to learn how to build for the Google Assistant and make use of Dialogflow’s natural language capabilities. As Developer Advocate for API.AI, Dan teaches engineers to build conversational experiences using the magic of machine learning. He’s worked with conversational UX since 2010. Before landing at Google, Dan co-founded America’s first insect farming technology company, Tiny Farms Inc., and worked as a software engineer at several California companies. He’s mentored hundreds of software and technology students at Hack Reactor, one of the world’s top coding academies, and held a full-time faculty position at Birmingham City University. The speakers offer an introduction to Apache Kafka, covering basic concepts, the data lifecycle, features, and APIs. The speaker then walks you through at a high level using Kafka’s data pipeline, stream processing, database replication, and CDC, explains how to evaluate if a Kafka cluster is healthy and how to analyze the performance of a Kafka cluster, and shares LinkedIn’s operation tools for Kafka. LinkedIn has been using Kafka and Samza to build a stream processing platform that processes 1 trillion messages per day. With the above introduction to Kafka, we will first share in-depth knowledge on how we use Kafka to support realtime data ingestion, database change capture, and data re-processing. We will also share how we use Samza to process the data from Kafka to produce the realtime analytical results. Finally, we will talk about how the results are sent to our online serving stores. Dong Lin is a Sr. Software Engineer at Linkedin where he works on all things Kafka, the Apache distributed stream processing platform. 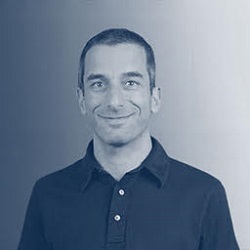 As part of his work he helps support Kafka’s operation at LinkedIn, develop new features in Apache Kafka to better serve its users, and participate in the open source community discussion on the evolution of Kafka’s design and implementation. 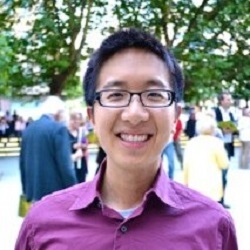 Dong completed his PhD from U. Penn in 2015 and has been at Linkedin since then. Dong is interested in distributed systems and various aspects of stream processing and actively contributes to the open source community and forums. 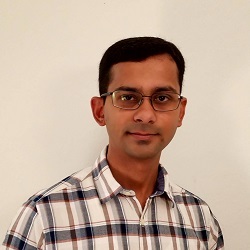 Prateek Maheshwari is an Apache Samza committer and a Staff Software Engineer at LinkedIn. He’s passionate about building scalable, performant and easy to use systems that empower developers to create awesome products. He has recently been working on Samza’s new High Level programming API that offers simple and powerful abstractions for creating complex real-time data processing pipelines. Prateek joined LinkedIn in 2013 with a Master’s degree in Computer Science from UT Austin and in Physics from BITS Pilani. Before joining the streams infrastructure team, he worked on data analytics, frontend and backend services for new member sign-ups, and service infrastructure at LinkedIn. 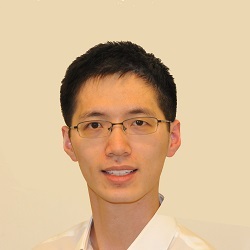 Xinyu Liu is an Apache Samza comitter and staff software engineer at LinkedIn. His primary interests are internet-scale distributed systems, real-time data processing and web services. Xinyu graduated with a Master degree in Computer Science at the University of Virginia. He joined LinkedIn in October 2012, and first lead the development of messaging platform (LinkedIn Inbox). Then he joined Data Infra team to work on real-time stream processor (Samza). Before LinkedIn, he worked on the trading platform development at Goldman Sachs. Through his work on Samza, Xinyu built the asynchronous/parallel processing engine which powers many applications for efficient remote I/O access. He contributed the plan and execution layer to the new Samza architecture of unified stream and batch processing. Recently he’s been working on SQL, BEAM runner and auto-scaling. As a data infra engineer, Xinyu is passionate about building infrastructure and products that enable advanced data transformation. The open-source project, creating the pybotframework package, was motivated by wanting an easy way to create intelligent Python-based chatbots. We aimed it to provide gateways to custom trained machine learning models, neural networks, and custom logic. It leverages Microsoft’s Bot Framework REST API for easy deployment and connection to channels. It includes a great dev experience due to its compatibility with an open source channel emulator. It also uses the familiar web microframework, Flask, for the web app component that can be customized later on. Currently the project is Python 3 compatible, with Python 2.7 support pending demand. Premium Training Session - Python Chatbots with Machine Learning Part I with David Clark, PhD, Data Science IT Consultant at Transplant Genomics Inc.
David has a background is in astrophysics, where he used Python extensively to analyze astronomical data. Currently, he is a data science IT consultant at Transplant Genomics, Inc. where he is writing Python scripts to interact with a Salesforce database and is programming a Hamilton pipetting robot. He is also doing machine learning and website development for SponsorLane, a startup connecting sponsors with organizations that want sponsorship for an event. Previously, he worked at Palo Alto Scientific where he modeled a runner’s performance using TensorFlow. Also, he worked at Quantea where he made network visualization tools using Bokeh and Pandas. Over the past two years he has given several talks on TensorFlow. Premium Training Session - Python Chatbots with Machine Learning Part II with David Clark, PhD, Data Science IT Consultant at Transplant Genomics Inc.
Kendall is an organizer of the Silicon Valley Python Workshops group, organizing several workshops including Intro to Python, Python for Data Analysis, and TensorFlow and PyTorch workshops. He is a Senior Python Engineer at Ayasdi, an artificial intelligence company based in Menlo Park. There are many challenges in building an end to end data solution. People run into issues around data cleansing and manipulation, scaling their models to a production environment, managing their models over time, and connecting their scoring service to other components of their solution. Azure Machine Learning Workbench, a new tool unveiled by Microsoft just a few weeks ago, simplifies and helps deal with these issues. This workshop will introduce and walk through Azure Machine Learning Workbench. We will talk about some of the biggest challenges for Data Scientists, and look at ways in which Workbench solves these problems. Students will learn how to use Workbench and walk through labs designed to emulate real world customer scenarios, taken from our collective experience. 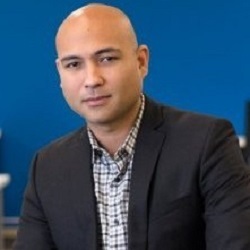 Sid Ramesh builds end to end Machine Learning solutions for partners and customers for a variety of industries including healthcare, retail, manufacturing, and finance. His areas of expertise are R, SQL, and econometrics. 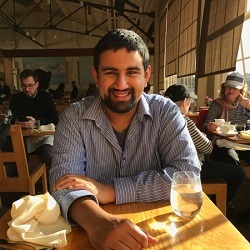 Sid graduated from University of Southern California in Economics and Statistics, and is currently pursuing his MS at Carnegie Mellon University. Currently, Sid is a Data Scientist at Microsoft and has previously worked at Revolution Analytics as an R Consultant and Trainer. In recent years, data teams across a wide range of industries have amassed large amounts of data that are generated by all our interactions in an increasingly digital world. While these exponentially growing datasets contain valuable insights that can improve our businesses and quality of life, they also become increasingly difficult to efficiently process. Fortunately, the open source project Apache Spark has emerged as the leading solution: a general purpose distributed framework for solving the latest data problems faced by the industry. In this training session, participants will learn how to solve real-world data problems by using Spark in a hands-on way. This session will introduce all of the necessary concepts required for efficiently programming with Spark. We will focus on the higher-level Dataframes and Spark SQL APIs, while discussing just enough of the low-level internals to effectively monitor, debug, and optimize Spark jobs. Participants will gain an intermediate proficiency with Spark by walking through real-world examples and exercises that are inspired by the same problems faced by industry-leading data teams. Additionally, we’ll compare and contrast similar technologies in the field of data to help participants evaluate exactly when (and when not) to use Spark. In addition to using Spark’s general-purpose features, we will cover several real-world examples that utilize Spark’s machine learning and real-time libraries. We will cover the Spark Streaming and MLlib libraries using an approach of “”learning by doing””. Specifically, we will be completing hands-on examples that mirror the real-world challenges that are routinely tackled by data teams at top companies in the industry. By completing this training, participants will be comfortable using Spark to solve their own data science and big data problems. 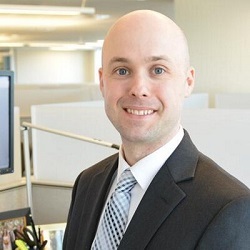 David Drummond is Director of Engineering at Insight Data Science, where he enjoys helping others learn distributed technologies to solve big data problems. He enjoys thinking about database internals and understanding how distributed systems fail. Before working in the field of data, he received his PhD in Physics researching fault-tolerance for quantum computers. 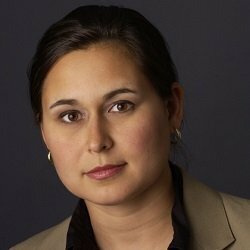 Judit Lantos is leading Insight Data Science’s Data Engineering team in Silicon Valley. Her main focus is the Data Engineering Fellows Program which helps software engineers and academic programmers transition into data engineering careers. 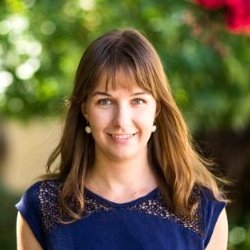 She earned her Masters in Engineering Physics from Budapest University and worked in medical imaging R&D for Stanford University before joining Insight. In this session, you will gain a conceptual understanding of Natural Language Processing (NLP) techniques, and learn how to apply them through hands-on projects. You will begin with preprocessing steps necessary for parsing unstructured text data. You will then transform text using representations such as bag-of-words and TF-IDF. You will then perform topic modeling using an LDA model. Next, you will learn how Deep Neural Networks can be applied to NLP tasks, using word embeddings and RNN architectures. Finally, you will apply RNNs to perform sentiment analysis on movie reviews. The projects will be implemented in Python, and libraries like Scikit-Learn, NLTK and Keras, and starter code will be provided through GitHub. 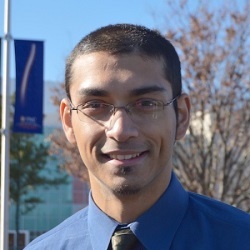 Arpan is a computer scientist with research interest in biologically-inspired computing. He graduated with a Ph.D. in computer science from North Carolina State University. 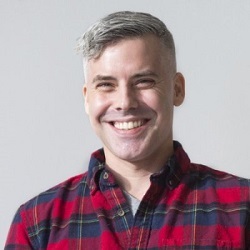 He develops artificial intelligence and machine learning courses at Udacity, and teaches online classes at Georgia Tech. In his spare time, he enjoys hiking and backpacking. 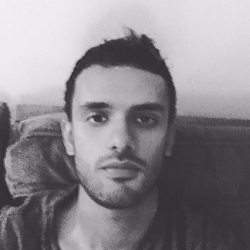 Adarsh Nair is a Senior Experience Lead for the School of AI at Udacity. His background is in Software Engineering and he has a Master’s in Computer Science from the University of Southern California. 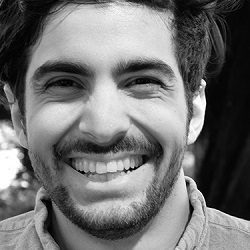 Luis Serrano is the Content Lead for the Artificial Intelligence Nanodegree Team at Udacity. Previously he was a Machine Learning Engineer at Google for 2 years, working on the video recommendations at YouTube. Before that, he was an academic, and worked as a postdoctoral fellow and instructor in Mathematics at the University of Quebec at Montreal. 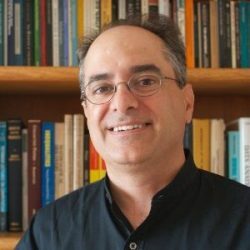 Luis obtained his PhD in Mathematics at the University of Michigan, and his Bachelors and Masters in Mathematics at the University of Waterloo. You have been using keras for deep learning models and are ready to bring your skills to the next level. In this workshop we will explore the use of pre-trained networks for image classification, transfer learning to adapt a pre-trained network to your use case, multi gpu training, data augmentation, keras callbacks and support for different kernels. Francesco Mosconi. Ph.D. in Physics and Data Scientist at Catalit LLC. 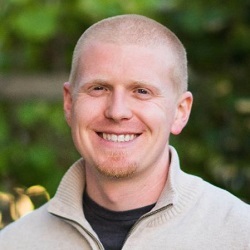 Instructor at Udemy. Formerly co-founder and Chief Data Officer at Spire, a YC-backed company that invented the first consumer wearable device capable of continuously tracking respiration and physical activity. Machine Learning and python expert. Also served as Data Science lead instructor at General Assembly and The Data incubator. Alexa is Amazon’s voice service and the brain behind millions of devices including Amazon Echo. Alexa provides capabilities, or skills, that enable customers to create a more personalized experience. There are now more than 10,000 skills from companies like Starbucks, Uber, and Capital One as well as innovative designers and developers. You, too, can build engaging skills and reach millions of customers with the Alexa Skills Kit (ASK). ASK is a collection of self-service APIs, tools, documentation, and code samples that makes it fast and easy for you to add skills to Alexa. With ASK, you can leverage Amazon’s knowledge and pioneering work in the field of voice design. Attend this workshop to learn how to create compelling voice experiences for Alexa. What should I do prior to arrival? Your laptop and charger. Tablets do not provide the multi-tab capabilities you will want. Born and raised in the Bay, Paul is all about tech, entrepreneurship, and the Golden State Warriors – ”Even before they won a championship!” as he always says. If you want to check out local events, meet new people in the tech community, or simply kick back: Paul is your guy. On the weekends you’ll find him cheering on the Warriors or looking for new adventures within or outside the Bay. Once a student – now a coding ninja – Anna discovered her knack for teaching when she joined the Dojo as a teaching assistant during her job search. Rather than jumping into the hot Silicon Valley tech market, she decided to pursue her passion for helping others and has been with the Coding Dojo community ever since. In her free time she likes to code, code, and code – joining hackathons and taking our curriculum to even further heights! 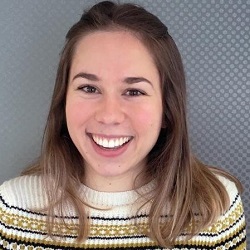 Morgane Ciot is a data visualization engineer at DataRobot, where she specializes in creating interactive and intuitive D3 visualizations for data analysis and machine learning. Morgane studied computer science and linguistics at McGill University in Montreal. Previously, she worked in the Network Dynamics Lab at McGill, answering questions about social media behavior using predictive models and statistical topic models. 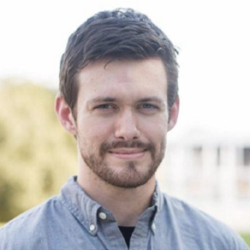 Nick Watts is a software developer at DataRobot, where he builds web interfaces and interactive data visualizations. Prior to DataRobot, he worked at Nutonian and Clemson University. He holds a masters degree in Computer Engineering from Clemson University. What Do Neural Embedding Based Translation Algorithms Tell Us About Language Similarity?